The winning cocktail, Love and Squalor, was made with O.H.S.O. Distillery’s Horseradish Vodka, Iconic Cocktail Company’s Meyer Lemon Balm, lemon juice, rose petal jam, beet syrup, ginger sugar rim, and a lemon twist. 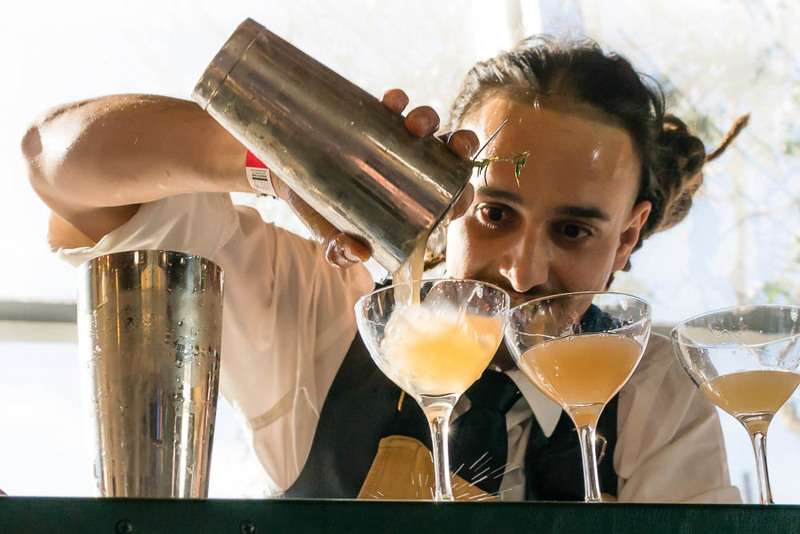 Not only were the cocktails judged by a panel of judges but they were also judged by the crowd. Green Expectations, created by Manny Pena of The Windsor, was a fan favorite and earned the People’s Choice Award. The Green Expectations was made with O.H.S.O. Distillery’s Grapefruit Vodka, BroVo Amaro #14, grapefruit juice, lime juice, cilantro syrup, and aquafaba. This is the second year in a row that a bartender from The Windsor has won the People’s Choice Award. Personally, our favorite cocktail came from Gavin Pena of The Clever Koi. The cocktail featured Arcadia Grapefruit Vodka, broVo Douglas Fir liqueur, ruby red grapefruit, sudochi, lavender honey, heavy cream, and aquafaba. The use of aquafaba left a mouth feel of an egg white cocktail which was really fantastic. There were several cocktails that used the broVo Douglas Fir Liqueur but Gavin’s cocktail was the most balanced with it. We really just kept going back to how much we loved this cocktail. 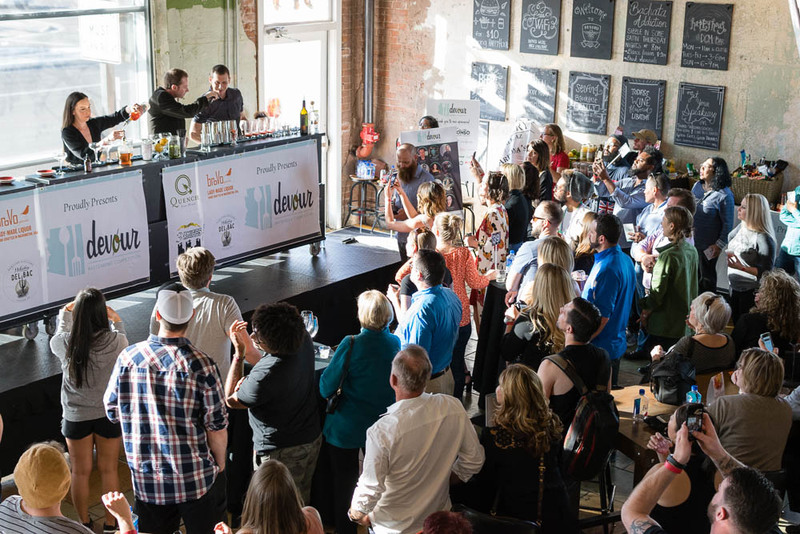 This Devour Phoenix Bartending Competition is just one of the fantastic events in the Devour Phoenix line-up of events. We can’t wait to attend again next year! *We received complimentary event passes to facilitate this write-up; however, our opinions are wholly our own. View our Disclosure Policy for more info.